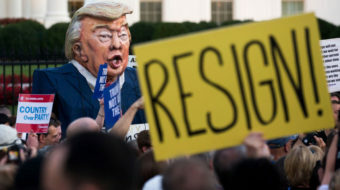 Trump’s kowtowing to Putin at the Helsinki summit sent thousands into the streets Wednesday night. 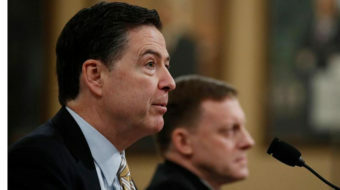 Comey also publicly contradicted a series of tweets from Trump that declared the Republican candidate’s phones had been ordered tapped by President Barack Obama during the campaign. 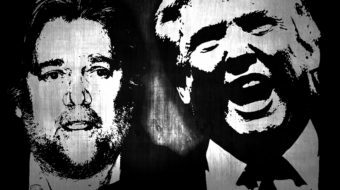 It will take the combined majority of Americans and global mass action to defeat this new global right wing axis. 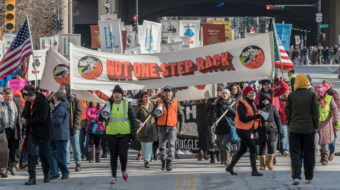 On Saturday, thousands of Wisconsinites marched to the Milwaukee County Courthouse to declare the “Inauguration of the Resistance” to the new administration’s threats against immigrants and refugees. People came to Milwaukee, with buses travelling from Appleton, Racine and Madison. 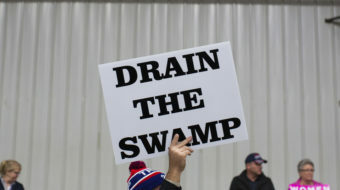 At its heart, Trump’s “drain the swamp” narrative was a noxious mix of racism and misogyny designed to cover-up the years of Republican obstruction and destruction in Congress.